If you’ve been reading us lately, you’ll know we love to share tips and resources for our clients, the Fortune Five Million. If you’re a small business owner and you haven’t yet tapped into the bounty of resources at your local SCORE* office, this is for you. Small businesses usually depend on budgets that have to stretch between advertising and wastebaskets, and the whole alphabet of expenses in between. And while a company’s founder surely has entrepreneurial blood dancing in his or her veins, most could use a seasoned veteran for a little friendly mentoring. So when something like SCORE comes along, with its free and confidential advice for entrepreneurs and small businesses, this is well, like manna. To make things even sweeter, anyone in Palm Beach County who has a small business (or is working that dreary day-job and has got a strong hankering to hang out a shingle for his own shop) is sure to get excited about Saturday, April 20th. Why? 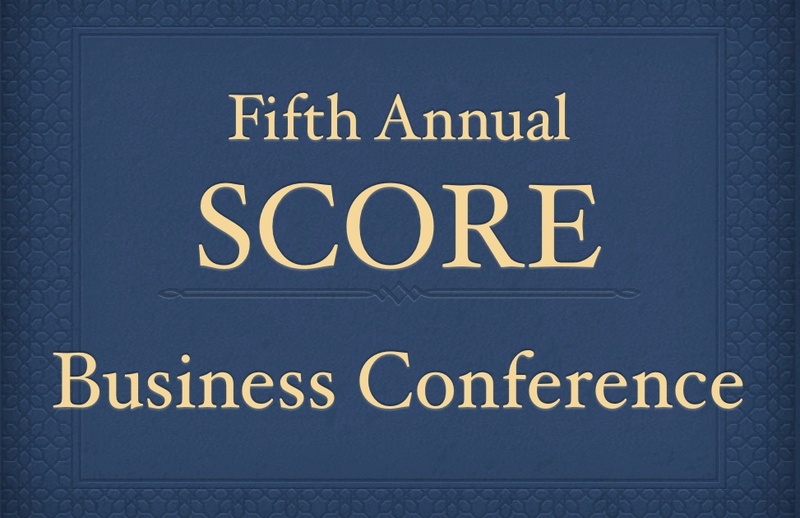 Because April 20th represents a wonderful opportunity to benefit from our local SCORE chapter’s annual Business Conference. During previous years, SCORE’s annual conference drew close to 1,000 small business owners and entrepreneurs. This year, SCORE has invited as many as 3000,0000 small business to attend. First off, Joe DeMike, Google’s head advocate for small businesses, has flown out from Silicon Valley to speak at the conference’s opening ceremonies, which begin at 8:30 a.m. Joe will be available for round table sessions throughout the day. These 15-minute sessions with Joe will accommodate 12 people at a time, and registration for them will be on a first-come basis. He will also speak and take questions from 3:00 to 4:00 p.m.
Who is Joe DeMike, and why do you want to hear him speak? Joe is a key leader in Google’s branding, strategic programs that strengthen Google’s ability to help small businesses and organizations prosper. Joe’s very attuned with the marketing needs of the small business owner, as he was responsible for building AdWords Express sales around the world, as well as testing and launching new local business products. 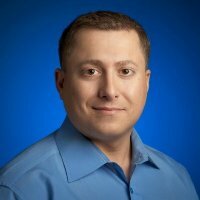 Before joining Google in 2010, Joe was consultant in biotech at Genentech, Inc., and before that Joe was a U.S. Army officer, leading soldiers in Baghdad, Iraq in the 1st Cavalry Division (this means tanks, etc., not horses!) and the 3rd Infantry Division. As if this weren’t enough, Joe has an MBA in marketing from Wharton, as well as a bachelor’s in engineering from West Point. In addition to Joe DeMike, SCORE is securing some 20 other speakers on subjects ranging from writing a business plan to internet security, cloud computing, securing funding, social media, Twitter, Facebook, the lost art of face-to-face selling, and much, much more. Each speaker will present twice during the day, in order for people to get as much as possible out of the event. Be sure to drop by the Exhibitors’ area to check out 3-D printing demos, networking, light refreshments, contests, and an opportunity to meet representatives from the Boca Raton and Delray Beach Chambers of Commerce. A complimentary Continental breakfast will be offered in the morning and brunch will be available for purchase in the University Cafeteria from 11 a.m. until 1 p.m.
Phil notes that attendees should plan on spending a lot of time at the conference because there will be tons to do and see. In Palm Beach County but Have Prior Unalterable Plans, or a Strong Case of Couch Potatohood? IF you should, alas, not be able to make this special Saturday event, you can still tap into SCORE’s terrific resources. If you’re located in Palm Beach County, steer yourself online to http://www.scoresouthflorida.net and you’ll begin to discover why the South Palm Beach SCORE chapter was voted as the #1 chapter nationwide for 2012, out of 364 chapters nationwide. Sarah Pearson, Vice President of Business Development at the Greater Boca Raton Chamber of Commerce, hosts a monthly SCORE Womens’ Roundtable. Local business women will love the opportunity to attend SCORE’s monthly “Business Womens’ Round Table.” Held at SCORE’s offices at 7999 North Federal Highway in Boca Raton, these supportive morning networking sessions are graciously moderated by Sarah Pearson, Vice President of Business Development at the Greater Boca Raton Chamber of Commerce. Please call Dawn at (561) 981-5180 for a reservation. Business owners in the area can also call Dawn to register for the SCORE’s “Tech Round Table Meetings” to get up to speed on using technology in their business. If you’re far from sunny South Florida, you needn’t despair. SCORE, happily, is nationwide, and you can find out where your local chapter is at the main SCORE website. With more than 13,000 volunteers working all over the states, you’re certain to be able to benefit from the mentoring and workshops that SCORE provides to local businesses like yours. Upset because you didn’t find SCORE earlier? Can’t get enough? *Trivia Fact: In case you’re wondering what SCORE is an acronym for, it’s “Service Corps Of Retired Executives.” Don’t be fooled, though. These mentors are anything but resting on their laurels. Look for an update about some things we discovered when we come back after the Score Annual Business Conference! For anyone who will be attending the SCORE event at Lynn University on 4/20…Here’s a link to the most recent schedule of events. Reach out and let us know if you’ll be there!